These beautiful flats at Kenilworth and East Boulevard are in the heart of Charlotte’s favorite old neighborhood. Within walking distance to the corner coffee shop, the park, and a host of excellent restaurants. 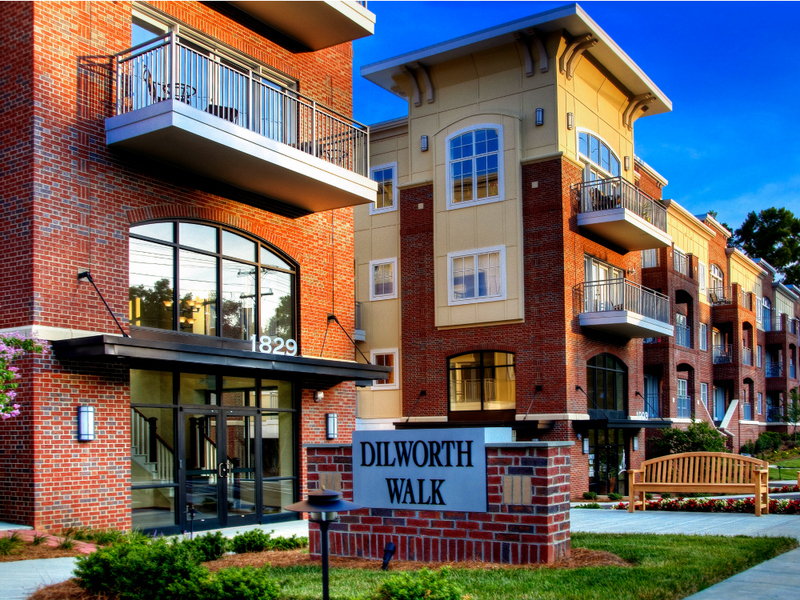 Dilworth Walk has 64 studio and one and two-bedroom flats with eight floor plans to choose from. Charlotte’s rapid growth has made in-town neighborhoods like historic Dilworth even more desirable and valuable with tremendous potential for appreciation. Now Available!